Blockchain is an architecture design, that has been present for the last ten years, with Bitcoin, being the most well-known use-case. More recently Ethereum has been the platform for implementation of B2C applications and services. This is not always ideal for B2B solutions, so Hyperledger was introduced last year by the Linux Foundation. Hyperledger’s format of the Blockchain concept, is the most suitable, secure and scalable implementation for the majority of enterprise applications. B2E offer a Hyperledger consultancy service, where we are able to establish, develop and deploy your Blockchain service. How will Blockchain Services help you? B2E offer a Hyperledger consultancy service, where we are able to establish, develop and deploy an enterprise scale Blockchain solution. Hyperledger’s format of the Blockchain concept, is the most suitable, secure and scalable implementation for the majority of enterprise applications. In the modern times, innovation is imperative for any organisation. The Blockchain concept, is an innovation of establishing trust, provenance, or tracking in any industry. For example, how does a merchant know that a customer has the money to pay for the purchase? The credit card transaction has to be “approved” by the bank or clearing house. That’s great. Of course, if the bank’s or the clearing houses’ systems went down, no credit card transactions could take place. The Blockchain concept turns this around, so that everyone on the network can only complete transactions that are “agreed” by all the organisations. Because the “check” is done, by distributed nodes, at the point of update, it doesn’t matter if a single node goes offline, there are other nodes, that can help complete a legitimate transaction. So, in this way, “trust” or “confidence” is assured automatically. We are able to offer an end-to-end offering to take your business services to the cutting edge. For a period of one or two years, B2E will advise, establish and delivery the technology change you require to boost your business services. B2E also offer tailor-made consultancy services designed to augment your technology teams. Our mission is to work with your existing teams to produce the most innovative solutions in your industry. Service Offerings at B2E Consulting are supported by our community of over 20,000 high calibre, expert consultants, many with Blockchain experience. Our scale means that we are able to build teams of genuine experts, to help support client initiatives and ensure we fully understand the client’s goals, content and context. We partner closely with the client to ensure we deliver quality solutions and value for money. 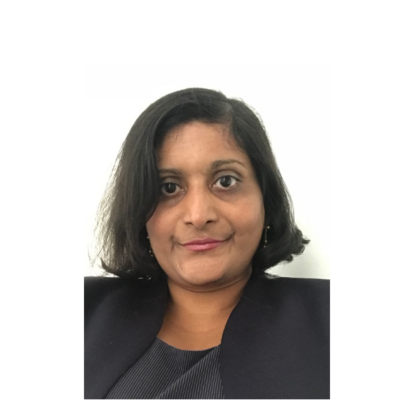 Aruna Koya spent 20 years working in the IT industry, starting as Software Developer then Department Head & Delivery related roles, progressing through to Director level. She has worked for several global organisations, including Nokia, Verizon, and has more recently, helped to scale up the teams at Songkick. Her most recent projects, have seen her working to design and develop Blockchain solutions using Hyperledger, in the private, permissioned format for Enterprise solutions.